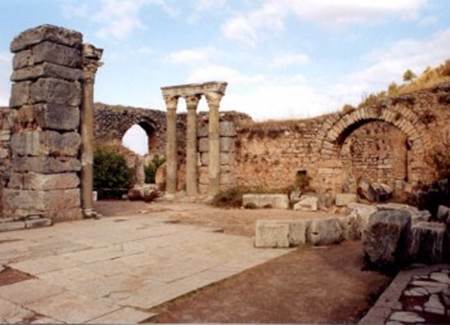 – The territory of the province of Balıkesir was called “Misya” in ancient times. The Hittites (Etiler), which established the first political unity in Anatolia, had taken this region into the borders. After the Hittites, the Frics, the Egyptians, the Lydians and the Persians took over this region. Persians Persians Dara and Macedonian King Alexander between the Persians defeated the Persians in the Battle of Granic, this region has passed into the hands of Macedonians. When Alexander died, the empire was divided among the commanders and Lizimak “Misya” was dominant. When Lizimak died in the battle between Lizimak and Selefkus, he led the financial affairs of Filiter, who founded the kingdom of Bergama. B.C. In 130, the region joined the Roman Empire with the Kingdom of Pergamum. Roman Empire M.S. When it was divided into two in 395, this region fell to the share of Eastern Rome (Byzantine). The Islamic armies came to conquer Istanbul twice in 672-677. Both of them stayed in this area. 1071 After the victory of Malazgirt Seljuk Sultan Suleyman Shah under the command of Balikesir conquered. The father-in-law of the first Sultan Kilic Arslan, the son of Suleyman Shah, was given to the Çaka Bey Bey. During the Crusades, like some cities between the Turks and the Byzantines, this place changed hands. – Karasioğulları from the dynasty of the Ottoman Empire conquered Balıkesir and made it the capital of the principality. Karasiogullari was subjected to the Seljuks and then to the Ilhans until 1308-1335 as the principal principality in Balıkesir, Çanakkale and Bergama regions. The Karasi principality, which had a strong fleet, entered Orhan Gazi’s order. In 1345 he joined the Ottoman Empire. The Anatolian Principality first joined the Ottoman Empire, Karasi Beylidir.Karasi Bey, Suleyman the governor of Çanakkale until 1952. Balıkesir in Ottoman times, one of the 14 sanjaks of the Anatolian Beylerbeyliğinin; After Tanzimat, Bursa (Hüdavendigar) became one of the three sanjaks of the province. 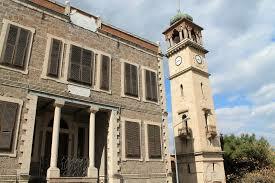 In the Ottoman period, apart from a few riots, Balıkesir was one of the most peaceful regions as the First World War. – In May 1919 the Greek invasion forces entered Edremit and on May 29, 1919 they entered Ayvalık. The first collective front of the national struggle was opened in Ayvalık. The national struggle flourished as an avalanche. 26 August 1922 After the victory of the Commander-in-Chief on 3 September 1922, Burhaniye, 4 September Bigadic, September 5 Susurluk, September 6 Balikesir, Balya, Gonen and Ivrindi, September 9 Edremit, Manyas September 14 and Ayvalik and Bandirma on September 17 survived the enemy invasion.